Arcades are going retro. Thanks to at-home game consoles, arcade owners are scrambling for ways to draw gamers out of their parents’ basements. They are taking a new approach, aiming to attract gamers of all ages with the flashing lights and pixelated screens of the past. For a while, the biggest controversy in the arcade game industry was whether or not arcade games were dead. As any pinball expert knows, there is in fact a passion to master the game despite the popularity of at-home game consoles and Internet games. Families are creating spaces in their homes just to add pinball machines and other games. In addition, hobbyists are taking pride in repairing old machines to work like new. Arcade games definitely aren’t dead. Technology has made it possible for gamers to enjoy gaming experiences that didn’t exist before, and while the latest and greatest arcade games are still sought after, there’s a shift within the industry that pinball manufacturers and retailers are noticing: consumers want the classics. 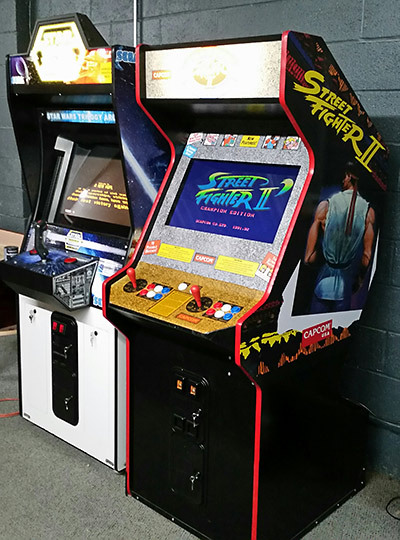 From Pac-Man to Medieval Madness to Mortal Kombat, these quarter guzzlers are once again taking control of arcade-goers and hobbyists. Hiding in the corners of many of today’s retro arcades and home game rooms are the under-appreciated, 1980s and 1990s pinball machines blinking anxiously to grab the attention of anyone who passes by. The unique clink of the tiny metal ball against the plastic flippers, the tinkering of bells as the ball bounces around the board, the sparks in everyone’s eyes when they conquer the game. This is what collectors and gamers want to experience, and what game distributors and retailers are looking to recreate. But many consumers do not want to settle for newer models of this beloved arcade classic. It’s clear they want old school, but the question is, why do they prefer retro games? People simply like the pinball games they played as a child. While manufacturers look to add the latest, flashiest technology to machines, consumers’ prefer the less lavish, but equally entertaining games of their childhoods; the machines of the '80s and '90s. There is something real about having a game from one’s youth, but it’s also about the context in which these classic games were played. Adults want to experience again the feeling they had when they first played them; a feeling that can’t be captured in other forms of entertainment. An article from The Atlantic discussed nostalgia and video games, “Players aren’t remembering the time they watched a hero defeat a bad guy (as in a movie) - they’re remembering the time they beat the bad guy.” The same sentiment holds true with pinball machines and other games. They bring back a familiar experience that gamers want to relive. Retro games are also associated with a sense of community and social aspect. Adults think back to playing pinball at the arcade after school or on the weekends. The community feeling is partially attributable to the popularity of retro gaming. Modern online gaming attempts to recreate the social aspect, but it doesn’t have the same feeling of physically being together with friends and family playing. Part of the appeal of retro gaming was that it was truly a hobby that people shared with others. Nostalgia, community and fun all contribute to gamers’ desires to relive the past. 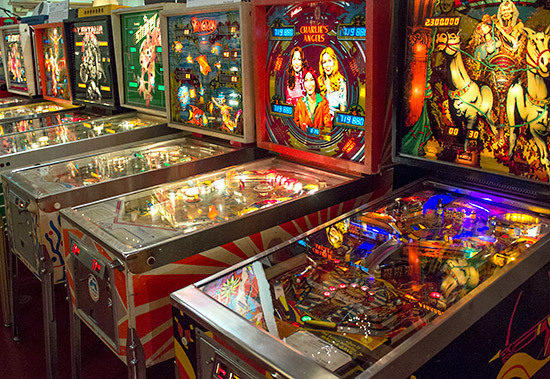 From reminiscing baby boomers to classic gaming millennials, the pinball industry is driven mostly by collectors purchasing machines to liven up their homes. Pinball machines are not meant to sit quietly in bedrooms, garages, or family rooms. 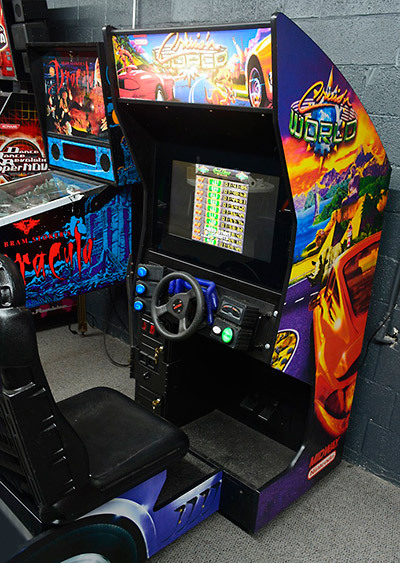 The passion for retro gaming is so strong that avid collectors have specific areas of their homes dedicated to arcade games, where they and their family members can enjoy the classics with fewer interruptions. Whether it is a spare room or a refurbished basement, pinball lovers know how to create the ultimate gaming atmosphere, the true gamer’s home away from home. 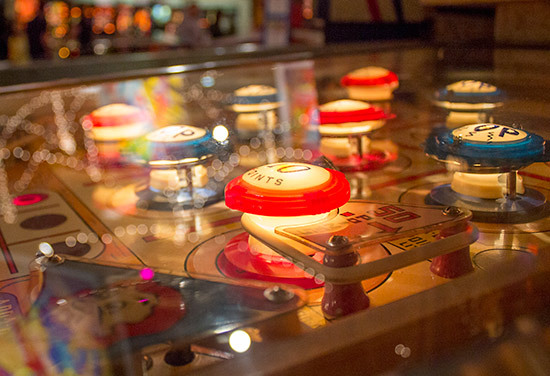 The growing trend of retro over modern has impacted the pinball industry positively. While modern games with all the bells and whistles will still be sought after, manufacturers, distributors and others in the industry are keeping retro in mind. Restoration and repair account for a large portion of businesses, with many businesses selling parts of machines to collectors as well. And those who attempt to create modern games that replicate the look and feel of retro games will likely not have success, as these games can’t conjure up the same feelings associated with classic arcade games. The popularity of retro games isn’t just affecting residential customers either. Many bars, restaurants, and other businesses are purchasing retro games. Some restaurants have themes entirely devoted to retro arcade gaming. The shift to retro arcade games is all about basic human psychology. People like the enjoyment they had as kids in the '80s and '90s playing the games they love. Because of this, the arcade industry is trying to recapture those feelings gamers had while playing. It’s really more than selling a game; it’s about the feelings and memories associated with these beloved games. Gene Goodman is vice president of M&P Amusement, a distributor of new and quality refurbished used arcade games and pinball machines since 1932, with headquarters in York, Pennsylvania.